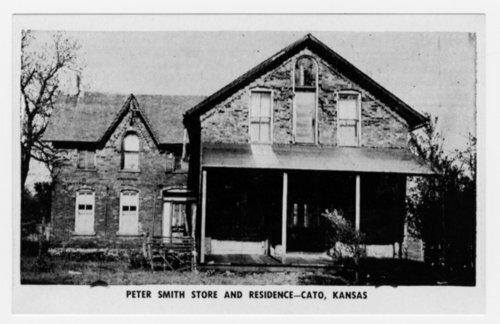 Two photographs showing Peter Smith's store and residence in Cato, Kansas. The structure had the living quarters on the left with the store on the right. Lodge meetings were held on the upper story.